Vertrucio wrote: What about both? A tiny generic model for fighters of a certain class and an acrylic token for their payload or sub-type. Honestly, they've been done by other companies really well so I'd prefer to see figures for them. Fighters are a pretty standard trope of most scifi nowadays and integral part of their universes (realistic or not) so they add a bit of cinematic flair. I hope we get small models for the fighter/bomber wings. Models that are easy to paint with a base coat, wash and dry brush! Hawk has the nice tradition to do things in scale, so actual models would be rather small and I doubt Dave breaks that concept for Fighters (which in some cases look goofy next to ships if they are to big). I think this is not really the most important part about the game. zaknafn wrote: Honestly, they've been done by other companies really well so I'd prefer to see figures for them. Yay, another B5 player! I actually haven't played B5Wars, but rather A Call to Arms. Same figures though, and I thought they did fighters very well. Okay...I'm actually quite liking the little B5 fighter stands. They are kinda cute. 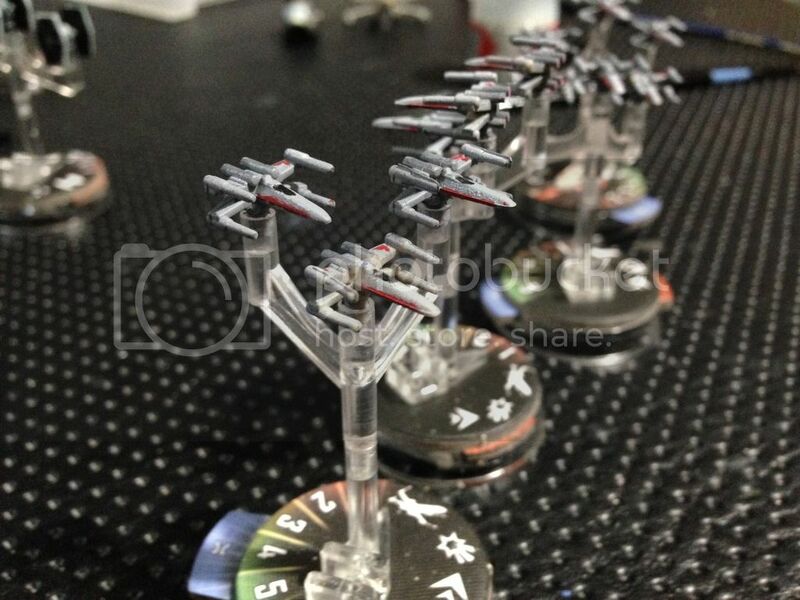 Those firestorm armada ships with dice in are mine. So who kills spam bots these days?